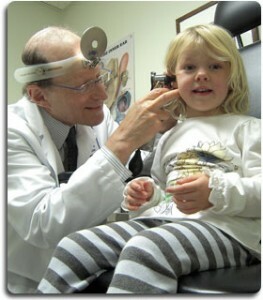 We welcome child patients as an especially rewarding part of our practice. Parents find us sympathetic partners in dealing with their child’s anxieties and frustrations as we provide the latest treatments. We also recognize the stresses and concerns of parents of children with hearing problems and work with them to keep the family educated about conditions and disorders and informed of all options. Because of space limitations we do ask that only our child patients’ parents accompany them to our office, except in special circumstances. The following video tells the “sad and infuriating” story about a patient treated by Dr. Hammerschlag whose fundraiser money for surgery was stolen. Good news: the stolen money was replaced after the story was on the news!